Can magnesium citrate actually help you lose weight? Weight loss is far more complicated than just taking 1 pill or 1 supplement. Yes, Magnesium citrate may actually help with weight loss. But that's not really what you want. It may help you lose water weight and/or stool weight, but it won't help your body burn fat mass. And that's really what everyone wants when they say they want to "lose weight". They are interested in losing FAT. What time of day should you take it? Which form of magnesium should I use? ​Don't forget about Exercise and Diet! Magnesium citrate is a supplement that can be purchased over the counter. Each of these supplements contains magnesium, but the substance that magnesium is bound to determine how it will interact with your body. 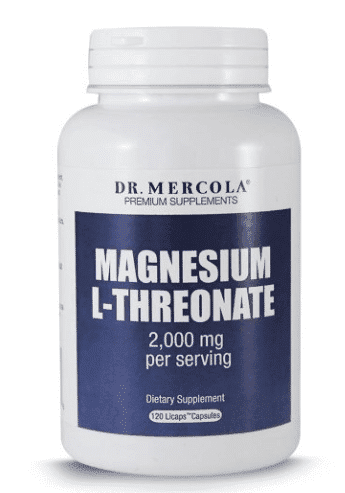 This is a cheap form of magnesium that isn't highly absorbed by the body but due to how cheap it is to use it is in a lot of low-quality supplements. 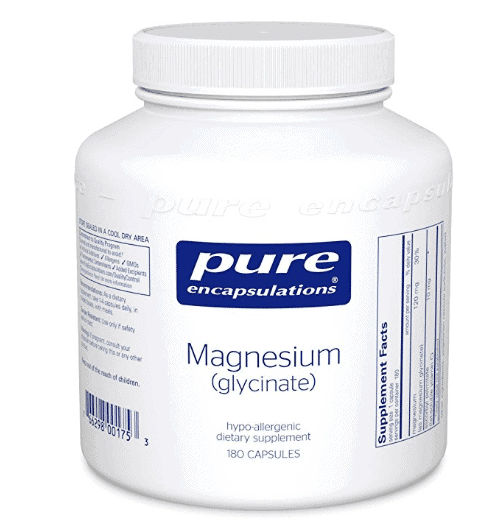 Compare this to magnesium glycinate which is a highly absorbable form of magnesium which is more expensive and found in MANY high-quality supplements. So where does magnesium citrate fit into all of this? Magnesium citrate is a special blend in which magnesium is bound to citric acid which gives the magnesium special laxative properties. ​Magnesium Citrate causes a laxative effect in your bowels and will (if used in high enough doses) cause you to have a bowel movement. 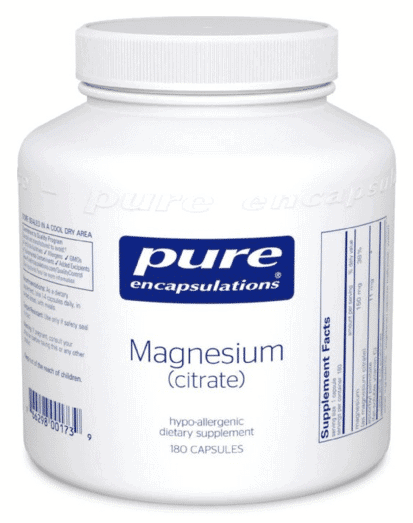 The truth is that almost any form of magnesium if enough of it is used, may lead to a bowel movement - but magnesium citrate is particularly good at it. So is that where all the weight loss comes from? Weight gain is NOT about calorie consumption, it's about your hormones. Period. If weight loss was really all about reducing your calories and exercising more, than why do 98% of calorie-restricted diets fail? And why are you even reading this? You know they don't work because you've tried them! ​So the question really becomes, how does magnesium citrate help balance your hormones or how else does it lead to weight loss? Anything that makes your bowels move faster (2) will result in a slight loss of total body water. Most of the water is absorbed by the large intestines in your stool and if you increase the transit time of stool through the bowels you will decrease the absorption of water. This doesn't cause your body to burn fat necessarily but it will cause you to lose weight. 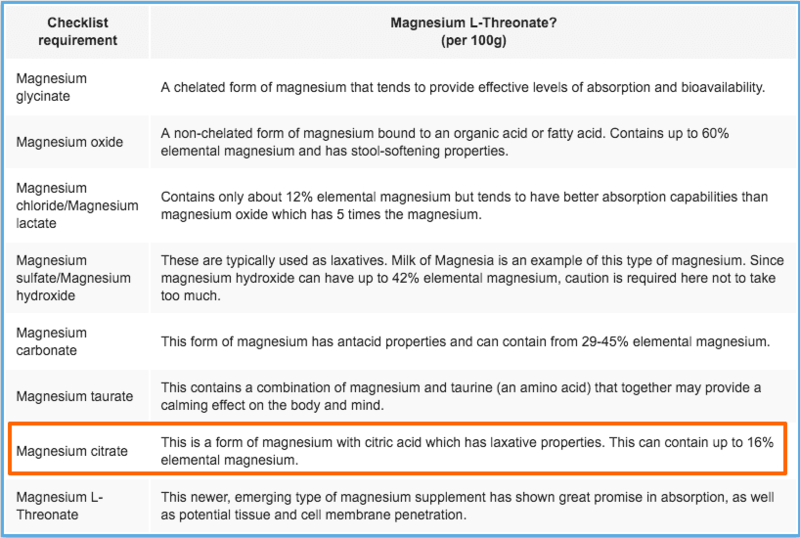 This helps explain why Magnesium Citrate isn't equally effective in EVERYONE. So who benefits most from magnesium citrate? Those who suffer from Irritable Bowel Syndrome, Constipation, or inflammatory conditions like Small Intestinal Bacterial Overgrowth. These conditions all lend to a more constipated state and by taking Magnesium you will cause brisk bowel movements which will help reduce your overall weight. Magnesium is involved in the chemical reaction (3) that produces ATP. ATP is the energy currency of your entire body. Without ATP you wouldn't be alive. ATP and energy production set the metabolism of your body and the "energy" that you burn is in the form of ATP. By repleting magnesium levels in the body, you may also increase your metabolism and overall energy production. Again this only works if you have a magnesium deficiency, to begin with, but considering that almost 50% of people in the United States (4) are deficient in magnesium I think it's safe to assume you probably are as well. Insulin is a hormone in your body that can wreak havoc on your ability to burn fat as an energy source. Insuli​n resistance is the process whereby insulin levels are elevated beyond which they should be under natural circumstances. This is even scarier when you consider that it has been estimated that up to 50% of the US population has prediabetes or diabetes (both conditions caused by insulin resistance). Magnesium can actually help REVERSE insulin resistance (8) in the body. In my experience, it really is the combination of all three mechanisms above that allow magnesium to be effective in helping some people lose weight. And because up to 50% of people are deficient in magnesium, it is even more helpful in these people. For most people, they will need to do more than just take Magnesium Supplements. That's why further down in this article I will give you some other supplements to take that will make magnesium even MORE effective. When most people consider weight loss they don't really think about the depth or quality of their sleep. And that's too bad, especially since insomnia and a general lack of sleep have been associated with obesity and weight gain (9). Lack of sleep (less than 8 hours per night) = weight gain, increased blood sugar (10) and difficulty losing weight. So how does magnesium fit into this equation? It turns out that magnesium - and I'm talking about all forms of magnesium including magnesium citrate - can improve the depth and overall quality of your sleep (11). ​This is yet another way that magnesium may lead indirectly to weight loss. The good news is that almost all forms of magnesium may help to improve your sleep, but some forms tend to help better than others. Magnesium threonate tends to help patients the most with sleep and mood-related disorders. But how do you know when/if you need magnesium for sleep? If you aren't getting 8 hours of sleep per night, OR the quality or depth of your sleep is poor, OR if you know you have a history of sleep apnea or some other REM sleep disorder then magnesium may help you. If after reading all of this you have decided to try Magnesium Citrate (Good idea, by the way!) I want to give you some helpful information to make it more effective. Dosing magnesium citrate is highly individualized. That being said I recommend starting out at 200mg at night. ​For people who tend to be more sensitive to supplements start out at 100mg per night. Titrate your dose and increase it slowly until you are having one loose bowel movement in the morning. Note: Your bowel movement should NOT be liquid, it should be soft. I recommend taking Magnesium Citrate at night. It typically takes a good 6-12 hours for the laxative effect to kick in (in most people, though some people it happens quickly). If you take it in the evening it will help you regulate your bowel movements each morning. And the last thing you want is to get caught having to go to the bathroom in the middle of the day (or at work!). You'll know you are taking too much Magnesium if you are having VERY loose stools or liquid stools. 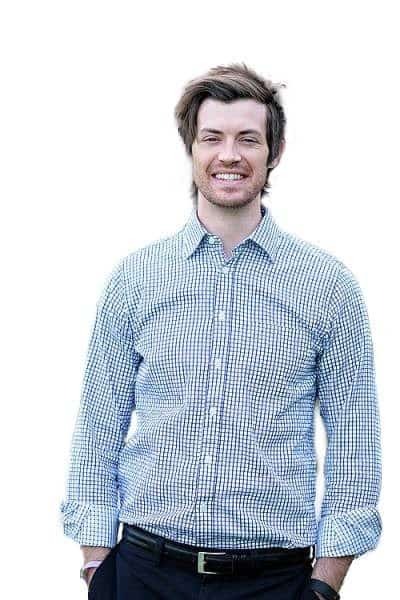 ​Below I've gone over the strongest magnesium supplements and forms and which patients should consider each one. Patients with symptoms of muscle cramps, twitches, etc. As I've mentioned above magnesium citrate can definitely help some people with weight loss, but it won't be enough for everyone. So what I've done here is compiled some research on other dietary supplements that have actually been shown to help reduce weight as well. And when taken with Magnesium Citrate will create a powerful combination. Berberine might just be one of my favorite supplements. It's been shown to be as effective as metformin in lower Hgb A1c in diabetes (12), it helps reduce cholesterol levels and can help with weight loss (13). Glucommanan is a viscous fiber that expands when it comes into contact with water. ​It helps with weight loss by expanding in the stomach, giving the sensation of fullness and causes stomach receptors to send a signal to the brain that you are "full". Basically, it helps reduce appetite if taken right before a meal! Believe it or not, but probiotics have been scientifically proven to help with weight loss (14). Currently, big pharmaceutical companies are rushing to come out with a novel probiotic blend that is the BEST for weight loss. In the meantime, I recommend using a soil based probiotic which is different from MOST other probiotics. Generally, many people are deficient in these specific types of probiotics and therefore they are more beneficial. I recommend taking a high-quality, multi-species probiotic such as this one to help. We can't talk about weight loss without at least mentioning diet and exercise. ​I just said that weight loss wasn't about calories. It still isn't, but eating a nutritious diet DOES provide your body with nutrients and DOES have an impact on your hormone levels. If you have no idea where to start then I recommend reading this post here. It will go over all of the basic food groups to avoid, all of the food groups you SHOULD be eating and all of the exercises you should be doing. As a quick primer, I recommend getting rid of ALL sugars and refined carbohydrates while you are trying to lose weight. These foods increase insulin resistance and will obviously cause weight gain. In addition to that focus on high-intensity exercise. ​If you do these in combination with magnesium citrate you WILL have effective weight loss. Taking Magnesium citrate by itself is not a recipe for a successful weight loss regimen. Have you lost weight with Magnesium Citrate? What was effective for your weight loss? What wasn't?